Hi Sanjeevani, just checking for new pots. Have a great weekend. 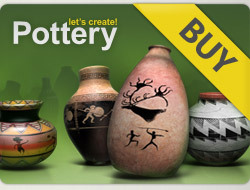 12 x 5***** for more beautiful pots in your gallery! Hi Sanjeevani, checking for new pots. Have a great day. Wow, fantastic 10 pages of pots, all voted with 5* by me..
You're so creative & talented my fren.. Happy holidays & create more beautiful pots ok..